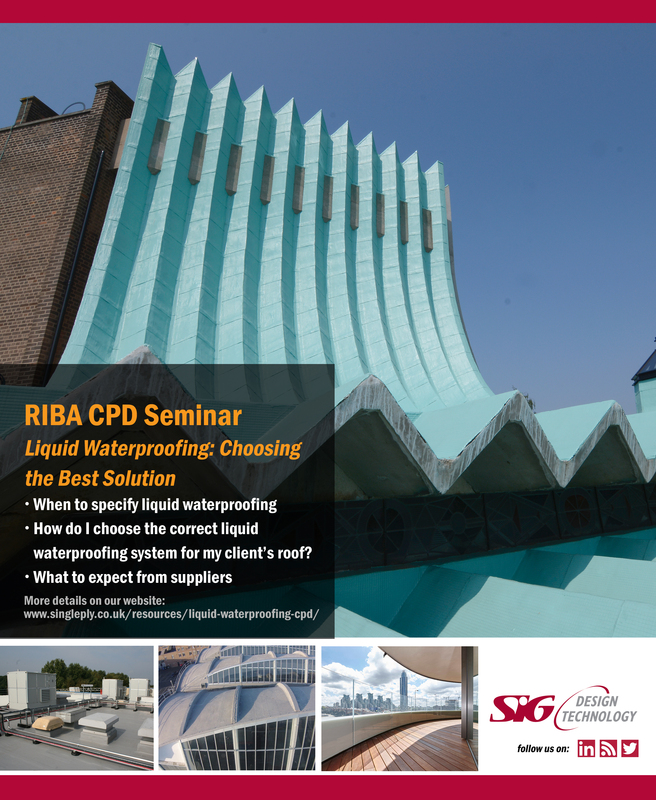 Our CPD Seminar, ‘Liquid Waterproofing: Choosing the Best Solution’ is approved by the RIBA CPD Providers’ Network. This seminar seeks to build a useful structure to the roof speciﬁcation and design process to ensure maximum longevity when specifying liquid waterproofing systems. Liquid Waterproofing is a growing market within the roofing industry. We have created a seminar which will explore the different waterproofing options available. We also look at how to establish the client’s brief, how to ensure compliance, and how to make the right cost decisions. Examples of choosing the best liquid product for your project are illustrated through project examples. What will we learn about Liquid Waterproofing systems? The seminar sets out a step by step process to help you arrive at the best solution in any particular circumstance. We look at differences between the main types of liquid waterproofing solutions, how the condition of the roof will influence the design and finding the right solution for your roof. Provide sources of further information and advice.The seminar is 60 minutes long including questions, and qualifies for double points on your CPD record. We will also meet the cost of a lunch you order for your staff who attend, plus the presenting specification manager, up to a maximum of £6.50 per head. If you’d like us to deliver the new seminar at your offices, please contact us via the form below and we will be in touch to discuss dates. View our RIBA CPD page on the CPD Providers’ Network. Any questions? Please ring us on 01509 505 714, we’ll be happy to help.